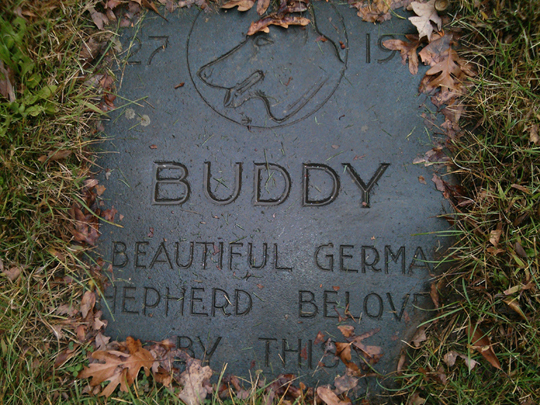 Grave of Buddy. 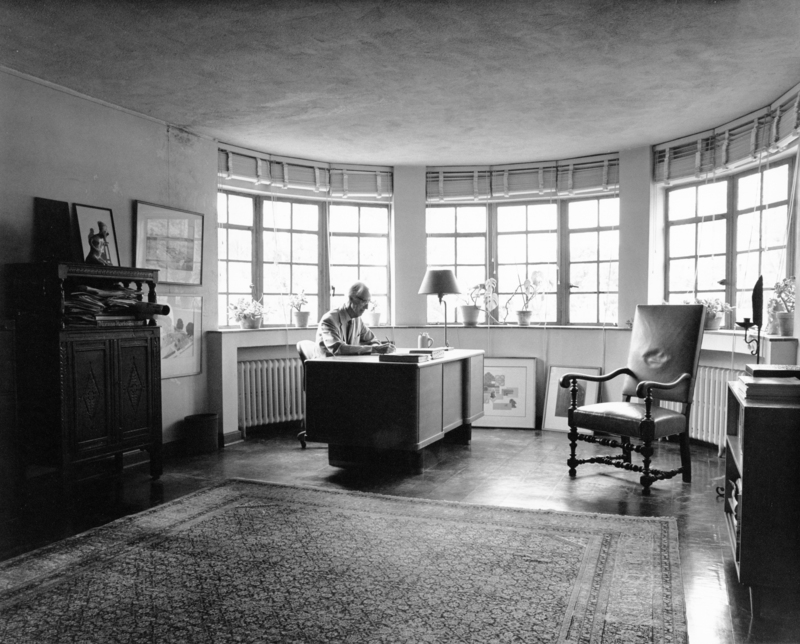 Photo taken by Cheri Gay. Taking a stroll one day on the grounds of the Thornlea Studio (where Cranbrook Archives was previously housed) I was startled to come across small tombstones, almost buried in the grass. What were these, I wondered? 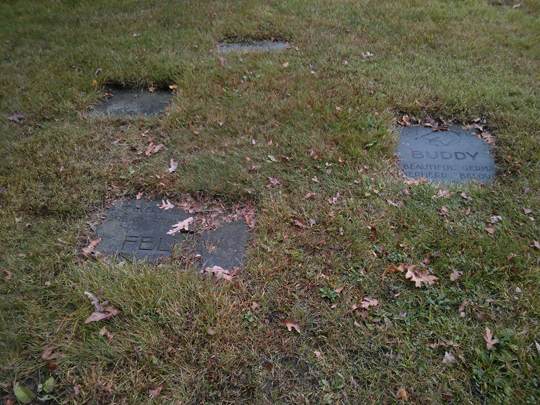 Seeing the names, I immediately understood: Buddy, Homer, Perky, Heinie, Fellow, Ricky, Zorah—a pet cemetery, which had seen better days. 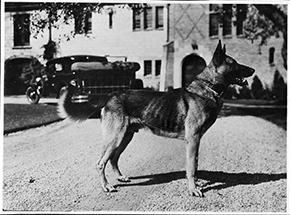 The Henry Scripps Booth and Carolyn Farr Booth Papers document six dogs, almost all black and tan German shepherds. Receipts from Sheldon Granite Co. in Detroit reveal they made the monuments for Heinie, Perky and the lyrically named, Homer the Wanderer. A 1961 notebook paper receipt identifies Albert Leipold, of Birmingham, as the stone carver for Fellow’s monument for $40. Henry Scripps Booth with Mike, 1912. 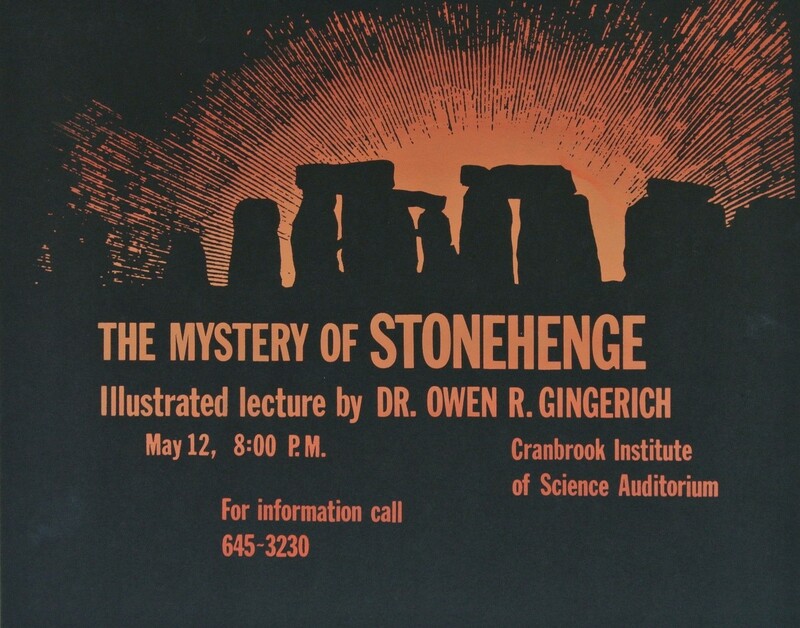 Cranbrook Archives. Buddy at Thornlea, 1929. 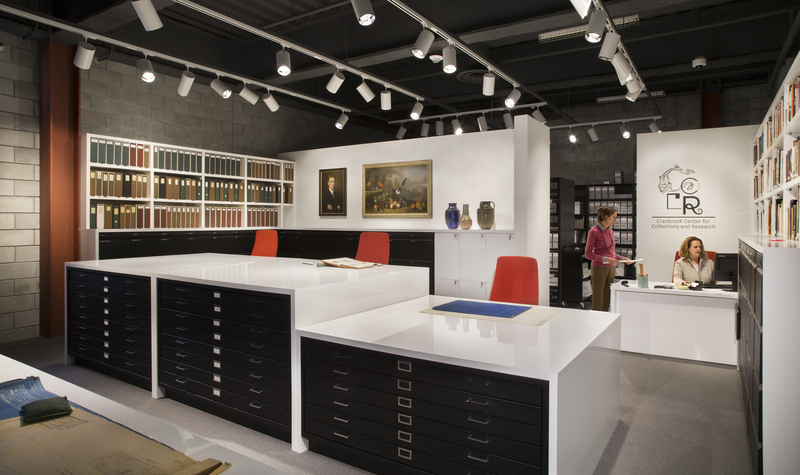 Cranbrook Archives. 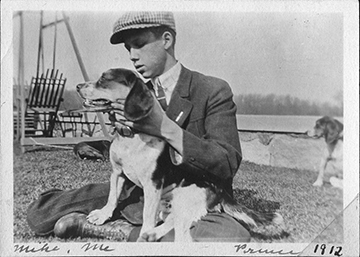 When Henry was growing up, the Booth family had beagles, Prince and Mike, and a great Dane, Ginger. Mike, according to Henry, “ … loved having a fuss made over him, one time going so far as being pushed around in a doll carriage while wearing a canvas hat.” Oh to have a photograph of that! When Henry had his own family, black and tan German shepherds predominated. Henry’s photo albums, called Pleasures of Life, include 17 different dogs, though not all are his. His hand-written captions under the photographs always give the dog’s name followed by (dog) in case there’s any doubt, for example, in a photo of Cynthia and Curlytail, who is who. 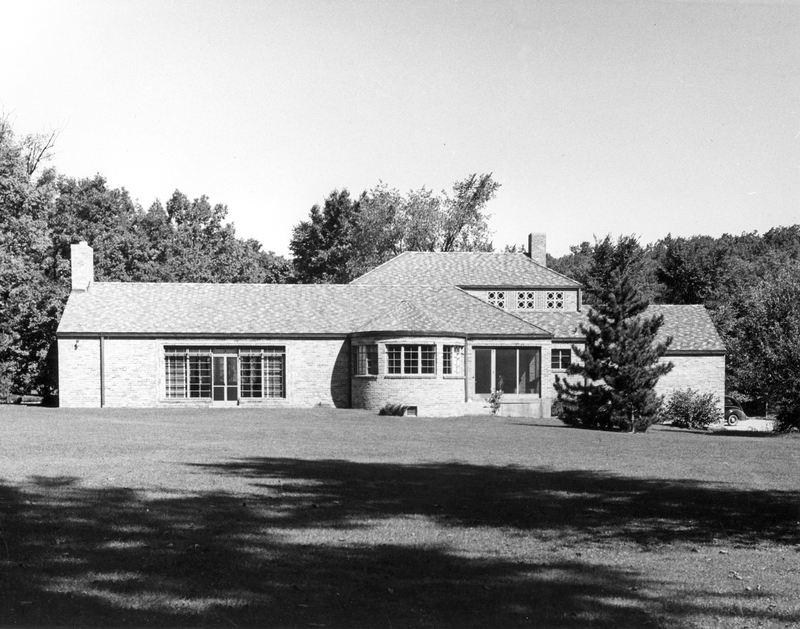 Though the grounds and building of the Thornlea Studio are maintained, unfortunately that care doesn’t extend to Henry Booth’s lovingly buried companions. It’s a project waiting to happen. Thornlea Studio pet cemetery. Photo by Cheri Gay.